Just swallowing a pill on its own won't deliver the best possible results if your nutrition and training are lacking. This product can, however, make your journey easier and help to keep you on track. To get the most out of your fat burner supplement it's critical that you first get on track with an effective fitness programme. 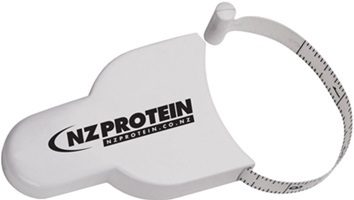 NZProtein have joined with elite coach Oliver Wood and recommend a 12 week fat burning plan here (coming soon). Record your fat loss expectations and ensure your weight loss expectations are realistic. While your rate of fat loss can be enhanced, you won't be dropping 5kg in a week simply because you're using a fat burner supplement. A safe rate of fat loss is 0.5-1.5kg per week for average, healthy individuals. If you're dropping weight too quickly you could be losing muscle mass. You need a starting point - whether you take measurements with a tape measure or body fat callipers, progress photos, or even just your weight on a scale. Allow several weeks before assessing progress. Results can vary between individuals but if you find that you aren't seeing the results you'd hoped for after several weeks then it may be worth assessing your training. Speeding up your metabolic rate results in more calories burnt, and the key to fat loss is burning more calories than you consume. 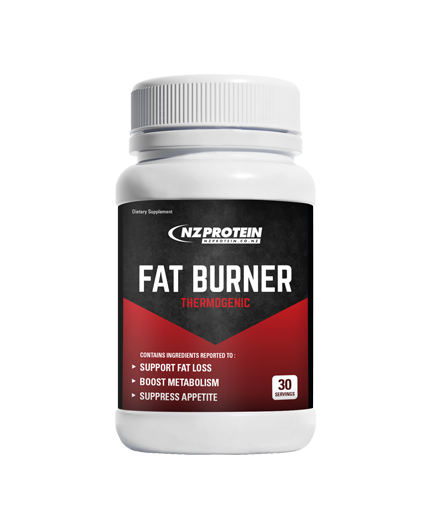 NZProtein's Fat Burner supplement contains ingredients that are reported to have a thermogenic effect that increases metabolism and aids fat burning. Strength training is another key way to speed up your metabolism. Lifting weights (and proper nutrition) helps build muscle. Muscle takes energy to maintain, so you'll be burning more calories all day long. Don't be afraid to push your limits - it takes new challenges and heavier weights (progressive overload) on an ongoing basis to develop lean mass. Stay hydrated. Fat burners may elevate your metabolism and cause you to sweat more. Dehydration can have negative impacts on your metabolic rate so drink a large glass of water with every meal and keep a bottle nearby because sipping on water can stop you feeling peckish. Not all drinks are created equal either - energy drinks, juices, fizzy drinks, high calorie coffee beverages and other beverages included add sugar that won't help with your fat loss goals. Protein is an key ingredient that our bodies require to build and maintain lean muscle mass, critical for losing fat. 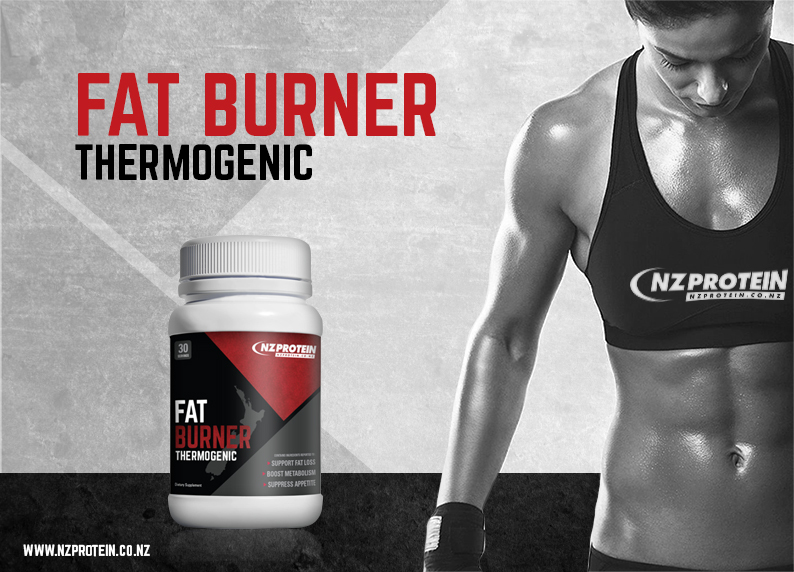 NZProtein's Fat Burner supplement has ingredients that are reported to reduce appetite levels, which could lead to a lower calorie intake with insufficient protein to maintain muscle. It is common to consume one gram of protein per pound of body mass when aiming for fat loss (bodybuilders and those wanting to gain muscle may take more than this). Visualise the type of physique you want to achieve - is your body sculpted or flat? You might be hungry when you're on a diet, but you shouldn't go hungry. While you can cut back on fat and carbs, even if not hungry protein should be consumed regardless. To get the fitness model or bodybuilder look, you have to keep a high protein intake to spare those physique-forming muscles. 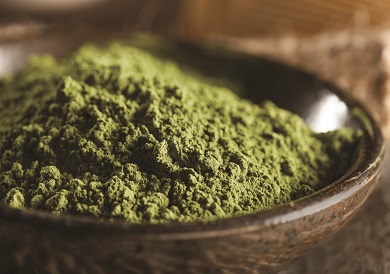 The body can become desensitised to some ingredients over time, and adapt to the energy-boosting effects of stimulants (such as caffeine), making them less effective. Just as you should be taking a break from your calorie-restricted diet in order to prevent a metabolic slow down, you should also use this time to take a break from your fat burners. Even just 1-2 weeks off after 3-4 weeks on can make a big difference in terms of how effective fat burners are for energy boosting purposes. Deep sleep is essential for a lean and muscular physique. Some people turn to fat burners to provide them with energy to work out because they're constantly tired and sleep deprived. This approach can lead to increases in blood cortisol and decreased testosterone, which will significantly hold you back for muscle gains and fat loss. Sleep is crucial for repair, recovery, and hormone balance. You've heard it before because it's so important: get eight hours of sleep a night. Take one capsule 30 minutes prior to exercise. To maximise results take a second capsule 30 minutes in the morning before food. Do not exceed two capsules per day. Adult 18+ use only. Not for breast feeding or pregnant women, or those with heart disease/high blood pressure. I take these as an appetite suppressant and it works very well and also gives a little boost of energy. Ingredients: Other ingredients: Gelatin. Contains caffeine. WHICH PROTEIN IS RIGHT FOR ME?